is a close relative of the marjoram and applies as this also as a medicinal plant. With its mild-spicy taste, oregano plays an important role in the Mediterranean cuisine. Classically, this herb is found on pizza and in tomato sauce. But it also has a lot of other uses. Oregano blends well with fruity tomatoes, cucumbers, and salads. Also with egg dishes, sauces, potato, and tomato soup, this aromatic herb fits. Although oregano is usually known only as a kitchen herb, it finds in the folk medicine relatively much attention. Oregano can be used for a variety of ailments due to its containing ingredients. Oregano was already known in antiquity and the Middle Ages as a herb with great healing power. Oregano was used to treat painful hemorrhoids. In gynecology, the medicinal herb was used to initiate the birth. 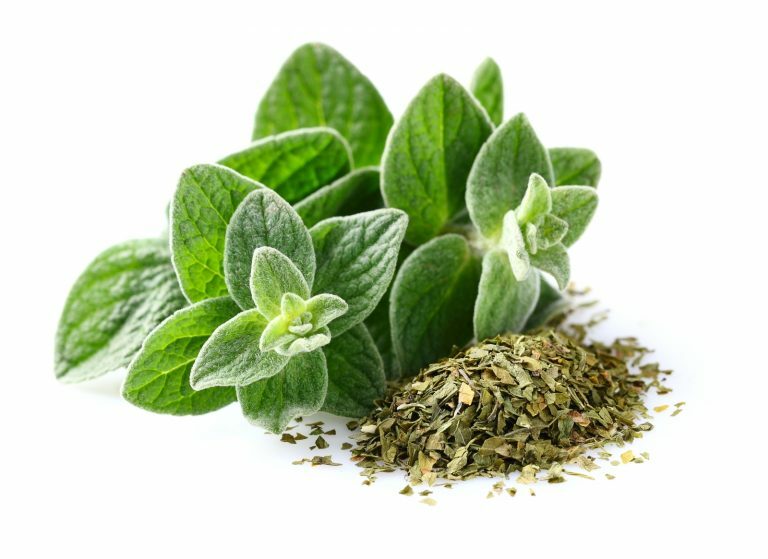 Furthermore, oregano was in the Middle Ages as a tried and tested means to shield themselves from demons, witches and the devil. From oregano lentils in the house and incense with oregano promised the same effect as garlic used against vampires. In old herbal books, oregano, as well as some oregano species commonly referred to as Wohlgemuth (Wolgemut) or Dosten. In the herbal book by Petri Andreae Matthioli, the herb was used for both internal and external applications. Oregano was recommended among other things with itching (application: Oreganobad), with tumors of the almonds (presumably almond inflammation) or with the Wundbehandlung. Oregano has also been used to treat gastrointestinal complaints, coughing or tracheal diseases. The herb was usually mixed with red wine or drunk as pressed juice. Today, however, oregano is used for problems in the gastrointestinal tract. The tannins and bitter substances in the oregano have an anticonvulsant effect, thus helping with gastric and/or intestinal cramps as well as flatulence and casually stimulate the appetite. 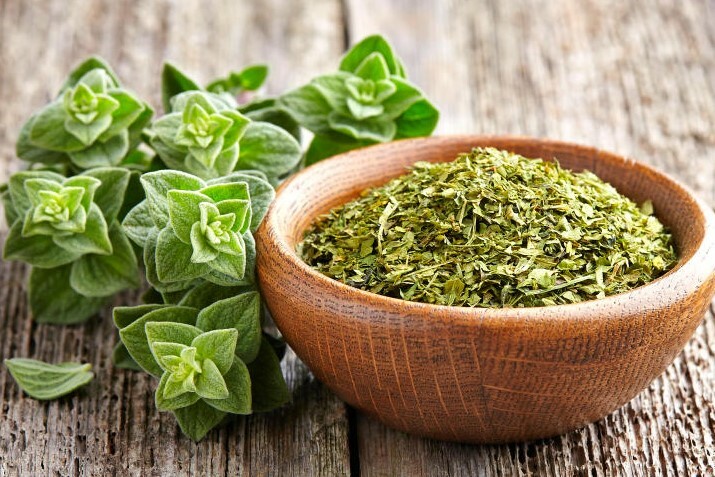 To relieve stomach and intestinal complaints or chronic bronchitis, oregano is usually taken in the form of tea. One teaspoon of dried cabbage or two teaspoons of fresh oregano is poured over with 250 to 300 ml of boiling water. The infusion is left covered for about 10 minutes and then drunk. Even with a bacterial cough and infestation of Candida fungi, Oreganotee can be drunk supportive. externally, oregano is used in inflammatory skin problems, as the ingredients in the essential oil of oregano (especially phenols and carvacrol) are classified as antibacterial and anti-inflammatory. Oily ginger tinctures are used to treat greasy, blemished skin, which is used to dab the affected areas of the skin. Oregano is an indispensable part of the Mediterranean cuisine. In the West, it is almost exclusively associated with delicious dishes from Italian cuisine. Oregano is not only used as a medicinal but also as a spice plant. But also the people of the eastern Mediterranean know and love oregano. For example, anyone traveling to Turkey will come across this tasty herb again and again; as well as in Greece and Spain. Incidentally, in the Middle Ages, it was often used there for dyeing, for example, wool. But back to the present and to Italy, where Oregano has also been known for centuries and is prized for its unmistakable flavor. Pasta sauces are mainly prepared here. But also with lamb dishes and everything that has anything to do with tomatoes, oregano is often used for seasoning. In addition, it is indispensable for a real Italian pizza. Where does oregano come from? Oregano is not only widespread in the Mediterranean, but the herb also has its original home here. It belongs botanically to the family Lamiaceae. In Germany, oregano is also known by names such as "wild marjoram", "Dost", "Dorst" and "Wohlgemuth". The latter points to the healing properties associated with the condiment. It helps the digestive tract to the legs and relieves coughing. For a soothing tea, add one teaspoon of dried oregano to a one-quarter liter of boiling water and infuse for five minutes. Herbs are very important in Italian cuisine. Without basil, parsley, sage, and oregano, Italian dishes are almost unthinkable. They are mainly used fresh in salads, in sauces for pasta dishes, for egg dishes and in the context of tomatoes. A classic example is "Insalata Caprese"; an appetizer consisting of tomatoes, mozzarella, and fresh basil. Oregano is often used in a dried form for meat dishes. Classically, the Italian mom will use it in lamb dishes; Oregano also goes well with pork and beef. When is oregano available and what should you pay attention to when buying? Oregano is grown today almost everywhere in the world and is therefore available all year round fresh in the supermarket, in the vegetable trade and at weekly markets. It is usually offered in pots. In addition, the herbs are also dried and rubbed. It then has a slightly changed, woody and intense taste. In fresh plants, make sure that the leaves do not hang limp and have no brown edge. As long as you have a sunny spot in the garden, this spice herb can easily be grown by yourself. You can sow just as well as-as of May - buy also bought young plants. Those who prefer seeds should only lightly press the earth over them. Oregano is a so-called "light germ," so the seeds should not be buried too deep in the ground. Moderate, but regularly poured, there will soon be a rich harvest. Partly dry part of it for the winter months.